Kay Zerr of Barriere, British Columbia passed away peacefully at Ridgeview Lodge in Kamloops, BC on May 30, 2016. Kay was born in Calmar, Alberta in 1939. Her family moved to Terrace, BC when she was nine and she later moved to Vancouver, BC at the age of eighteen. She met her future husband Gordie while working at McDonald Appliances. Gordie and Kay raised two children Carleen and Terrill and eventually settled in Barriere. 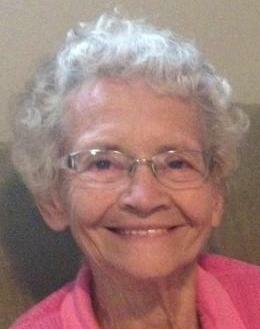 Kay was an active community member as a wife, mother, grandmother, great grandmother, volunteer and business co-owner. She and Gordie started Zerr’s Major Appliances which serviced the North Thompson Valley for over 33 years. Although Kay’s life was very full, she still found the time to enjoy her favorite activities such as camping, gardening, reading and most importantly spending time with family and friends. Kay was diagnosed with Alzheimers disease in 2011 and was the Barriere and Area honouree for the Alzheimers Walk for Memories in 2015. Kay will be remembered for her positive outlook on life, her kind words, love of all animals including her dogs which she thoroughly enjoyed taking for walks and of course her contagious smile. Kay is survived by her husband Gordie of Barriere, BC, daughter Carleen (Ward) Stamer of Barriere, granddaughter Brittany (Dave), great granddaughter Madilyn of Kamloops, BC, granddaughter Nicole (Travis) of Kamloops, son Terrill (Beth) Zerr, granddaughters Chiara and Danika of Barriere. Sister Inez Dahl of Red Deer, Alberta, brother Orval Melin of Terrace, BC, sister Iris (Ed) Kohuch of Sechelt, BC, sister Denniel Martell of Delta, BC, brother Derrick (Leda) Melin of Terrace, BC, as well as numerous nieces and nephews. Kay was predeceased by her parents Frans and Gladys Merlin, brothers Ralph and Ray Melin.